Ever had one of those days where precisely the right music fell into your ears at the right moment? I have an ever-growing collection filled with incredible music I enjoy, but sometimes, that music arrives and is “like on arrival” until one day, bam! Connection. Resonance. Other times, it’s like the Music Fairy grins and drops a beat in the inbox. 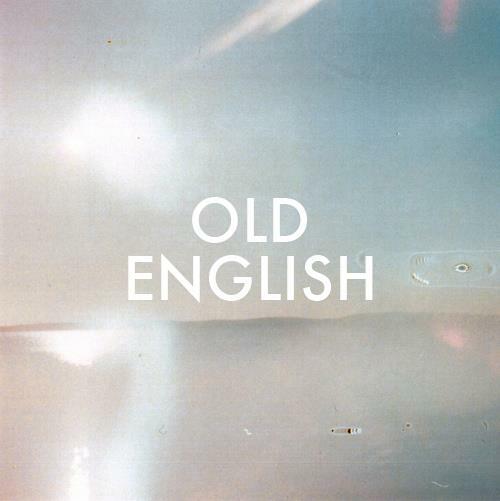 Old English’s new single, “We’ve Been Here Before” falls into that latter category. Lost between the ethers of Autumn fading too quickly for my liking and the uncertainties of Winter ahead, the dreamy rock tune slid neatly into my skull like the missing piece of a jigsaw puzzle found batted beneath the fridge by felines. Picture it (or hear it, really): the breathy synths of Metric; the playful experimentation of Animal Talk; vestiges of the best of the 80s with a more mature hand at the helm. “We’ve Been Here Before” delivers all of this in one hook-laden package that feels ironically familiar, yet unique all the same. A very good omen of things to come on 2013’s upcoming release, Prose and Kahns. OTM was fortunate enough to grab vocalist/songwriter/’accidental band’ instigator Matt Henderson and guitarist Daniel Halyburton for a Q&A before an upcoming show at Clinton’s (Torontonians, take note and add to calendars here). Find out how precisely an “accidental band” is born, Saskatchewan’s band member thievery, and how amazing a dream-rock country club can be. OTM: Congratulations on the release of your single, “We’ve Been Here Before”! How are you feeling, now that it’s out in the world? Matt: Thanks! It feels good to have it out, and the reaction has been really positive so far. It’s also a bit surreal. We spent so long working on this album and these songs that it’s kind of bizarre that it’s ‘public’ now, if that makes sense. So in a way, it’s also a bit of a relief to have it out and have people liking it. It’s been sort of our own private track for so long that there was always a creeping fear in the back of my mind that people would hate it, even though we we’re really thrilled with how it turned out. Old English is an “accidental band”, as you call it. How did the forthcoming album evolve from a solo project into this new musical creature, so to speak? Matt: Pretty naturally, actually. I started recording the album and pulling in different people to work on it, and as that happened a few friends started playing shows with me as well. Originally I just sort of thought that they would just be my backing band from time to time, but the guys really took hold of the songs and started moulding them and taking them places I’d never even considered. It just became more and more collaborative and as that happened, it felt increasingly inaccurate to be the “Matt Henderson Band.” It became less and less about me, and more about the bigger picture and the whole group, and I think that’s fantastic. I don’t think anything solely focused on me could possibly be that interesting. Daniel: It’s funny; I originally got called in to just play guitar on the track “Lotteries & Tents.” From there I got pulled in to play a show or two, and then haven’t missed a day since. In regards to the album’s evolution, I distinctly remember talking to Matt before he started work on the album and the original idea was to put out a 4 song EP. Just like the band, the “album” seemed to be accidental as well. You describe the band as having a “revolving door nature” in terms of players. Can you explain that in detail for our readers, and what you feel it adds to the music of Old English? Matt: Part of that is just due to how many people worked on the album. I think in total we had somewhere close to 20 different people record for us, and what excites is that to varying degrees, I think everyone added something unique and personal to the album. In terms of the live show, that sort of started out of necessity after a couple of members moved away – I think we’re the only band on earth who has lost multiple members to Saskatchewan, of all places. But I’m really obsessed with the idea of our music being as big, and noisy, and beautiful as possible so having extra members really adds to that. Lately we’ve really been building up a group of ‘reserves’ of people who can play horns or melodicas or whatever whenever they can and it really adds to the live show and makes this whole thing more exciting and more of a communal deal as well. We’re slowly transforming from a band into a dream-rock country club. Daniel: We’ve even had members move away, come back and then play a different instrument than they did before. One thing that excites me is how the songs can take on a different feel depending on who is playing at the moment. Prose and Kahns is the name of your forthcoming album. Can you tell us a little about what we can expect from the album (and where the title came from)? Matt: I’m really excited about the album. We worked so hard and so long on it and I think that shows. It’s really stylistically varied from one song to the next but hangs together well. From the time I started writing the songs, I really wanted us to make an album that worked as an album, and not just a bunch of songs stuck together, and for the most part I think we really accomplished that. I think the songs fit together well sonically, thematically and in a way, almost narratively too, and I’m really proud of that. I think we’ve made an album that really needs to be listened to front-to-back for the full effect, where the tracks are all better within the context of the whole thing, and I love that. The title just really fits the themes and emotion of the album pretty perfectly. Also, I really like puns these days, which I think means I’m getting old. Matt: I don’t know, to be honest. In some ways this is a good time for us to be musicians and in other ways it’s awful. I guess it’s one of those double-edged sword things. In one sense, without the internet I don’t think Old English would exist. Things like Bandcamp and Facebook and blogs and so on are really the main tools we’ve had to get people’s attention and introduce people to our music, so that’s fantastic. We’ve been able to reach people that we never could have otherwise. I really have no clue how we’d do that without the web or without offering up our single for free. But the other side of it is, I feel like we’ll never make any money off of music and we sort of have to live with that. Personally, I’m really passionate about music and about Old English specifically, so it’s not about the money. But making music the way we do is time consuming and expensive and at a certain point, I think it may become difficult to justify investing that much into it. It’s something I really worry about. Also, it seems like there’s almost an expectation today that music should be free, which means artists don’t really get paid but I think it also makes us value music less and invest in it less if that makes sense. It makes it more accessible but also more disposable. I think paying for something causes you to really take time with it and listen to it and really explore it. But now, it’s so easy to download a song or an album, listen to it once and then never again, and it’s even easier to do with streaming sites like Spotify, and in a way I think that’s kind of sad. Sorry, that answer was much longer than I meant it to be. I hope it made at least some sense. Absolutely. Who inspires or fascinates you right now, as an artist? Matt: Hmmm this is a tough one for some reason. I’ve been reading the Salman Rushdie memoir, which I find really fascinating and interesting. I’m also really into this new Kanye Wes Anderson website, I think it’s brilliant. Daniel: Leonard Cohen. I’m still trying to untangle the web that is Bob Dylan; it’s something I probably won’t ever get to the bottom of, and I’m fine with that. I’d also like to thank whoever came up with the burger recipe at the Toronto bar, HRVATI. What artists are currently catching your attention, as a fan? Any new essential albums I should be adding to my acquisitions? Daniel: I’ve been completely smitten with the new Grizzly Bear album, and METZ ‘s full length has been on constant replay for me as well. Matt: I hope this isn’t a cheesy answer but I’m honestly really excited about the new First Rate People album. They’re friends of ours’ who make incredible music, just so layered and detailed and catchy, and they are just sweet, sweet people on top of all that. I got to hear a couple of their new tracks the other day and I’m still just floored by how good they are. Their album is coming out sometime next year I believe, so add it to your wish list. Also, my friend Tim Selles just released a solo record called Timid, the Brave this week and it’s gorgeous. Some really incredible songwriting. Matt: Can I cheat and pick two? I think I could fit both “Two-Headed Boy, Part II” by Neutral Milk Hotel and “Clam, Crab, Cockle, Cowrie” by Joanna Newsom into those ten minutes. Daniel: Oh Matt was on to something good with his Neutral Milk Hotel pick, though my choice would have been “In The Aeroplane Over the Sea”. My actual answer would probably be a Beatles song. Too may to pick, but let’s just go with “I Want You (She’s So Heavy)” since that’s one of my favourites, so why not listen to it one last time, y’know? What’s next for Old English? Matt: Lots of shows, lots of practicing, and lots of prepping for the album release. I’ve also finally gotten into that Draw Something game. I know I was late to the party, but I’m really into it, so hopefully lots of that too. Daniel: Also working out the final details in the album artwork and layout. We’re planning a few surprises for the release show. I’m still hoping for a band board game night. I think we could really have a heated game of Risk or Clue going. Thanks so much, guys! I’m down with a board game social event for album release promotion. Just sayin’! You can check out single “We’ve Been Here Before” below or swing over to Bandcamp and download the single for endless listening. Stay connected with Old English via Facebook, Twitter or their official site. Toronto-area readers: Old English hits Clinton’s on November 15th as part of Distant Cousins’ Movember “Moustache Social”. Details here! Whoa, these guys are awesome! Aren’t they? I’m so excited for the album in 2013! Figured they’d be up your alley.